No Keeping Fish, No Barbs, No Fishing Pressure, No Problem! Hatch reels get it done! One of my fly fishing buddies, Jeff Smalley, yes, the one from the original “Trout Team 3”, recently invited me to join him for an amazing opportunity for some fly fishing on Duke’s Creek in Georgia. 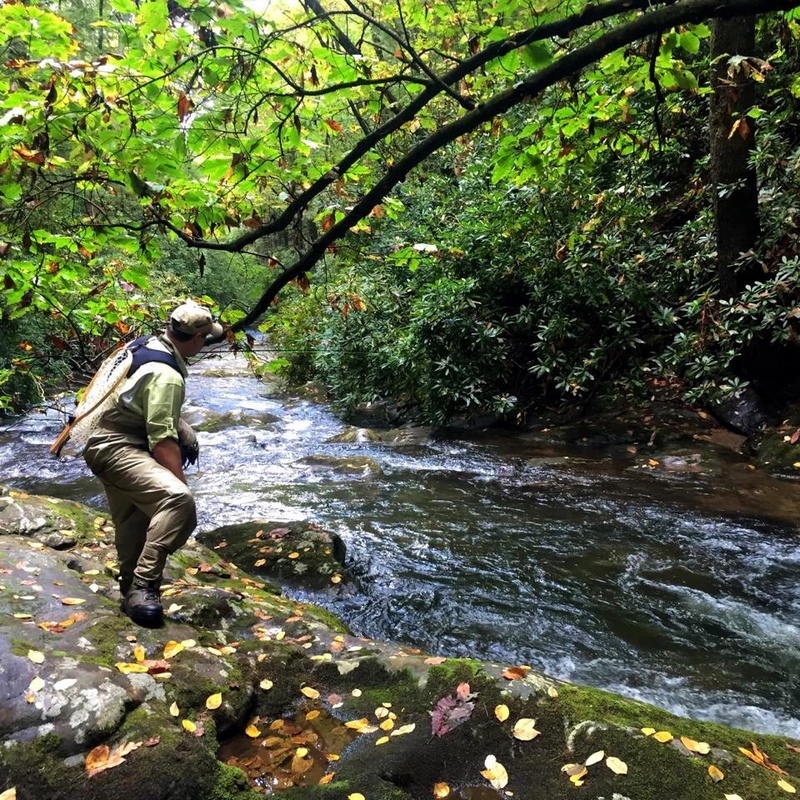 The Smithgall Woods area is an amazing trout haven. Anglers must register in advanced to fish, and they only allow fifteen anglers on the river per day (one morning slot and one evening slot). The fish are reproducing naturally because it’s entirely catch and release. Also, on this section of Duke’s Creek, you are only allowed to use barbless hooks (which I adhere to anyways). Furthermore, they provide supplemental feeding to ensure the fish are healthy. 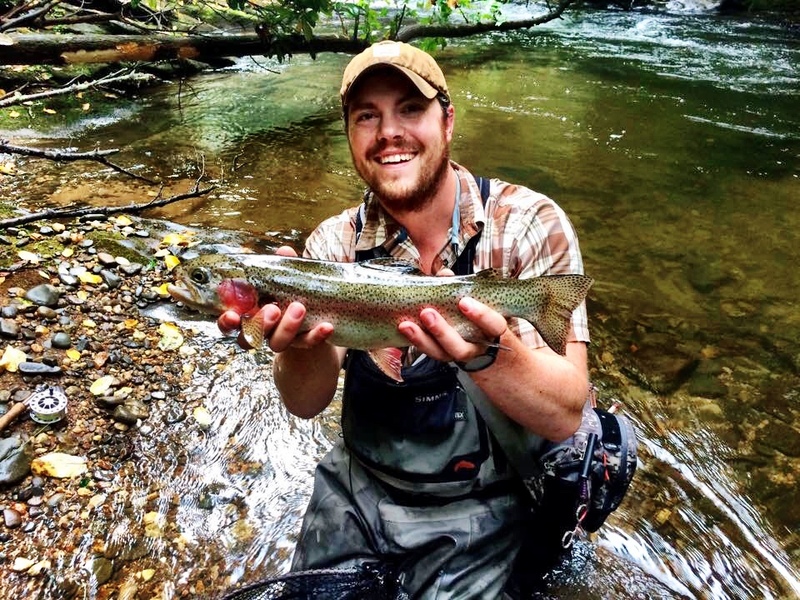 All of this results in an amazing fishing experience with rainbows and browns that are crafty, intelligent and battle hardened. I had more than twice the number of fish that I caught figure out a way to de-hook themselves. And this was not due to the barbless hooks. These fish have figured out just the right moves to throw their head and lose the hook point. They are powerful, acrobatic and energetic. Not to mention that they are numerous within this five mile stretch of river. 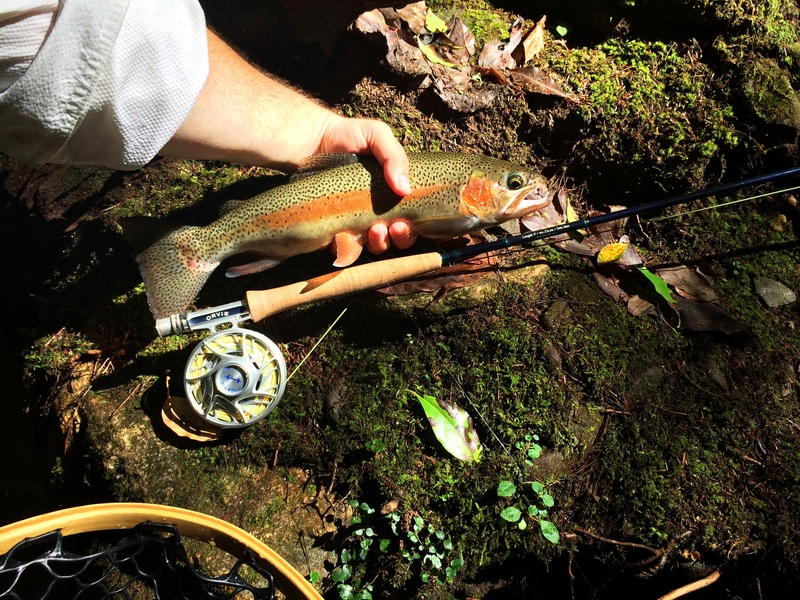 After a full day of fishing, I had over a dozen rainbows battled into the net for a quick photo and release video. I had twice as many get away, including some real hogs, ensuring I will visit this trout sanctuary many more times. I also made a new friend, Clint DePriest (https://instagram.com/noon_day_flyfishing/), who happens to be an amazing guide out of North Carolina. Clint’s all over these ‘bows. The moral of the story is: Whenever a friend asks you to go fly fishing with him, you say yes! Have you ever been asked to go fishing, and aren’t able to go, only to hear later about the epic hatch you missed out on or the “once-in-a-lifetime fish” that was landed? Check out the video I made for this trip too (in the videos section or click the link here: https://vimeo.com/143579448 ).